Ghorbani1*, A., Mohit2, A., Darmani2, H.
Twelve registered Caspian horses were used in a balanced change over design with 3 periods (each period 56 d, the interval between periods 7 d), 4 treatments, 9 replicates per treatment, and 4 blocks (two genders and two age groups <3 and ≥۳ years) in order to compare the hair mineral concentrations of this breed with some other known breeds in the world. Two different levels (0 and 4.86 % of the diet) of minerals were added to one of two different levels of daily dry matter intakes (50 and 100 % of requirements) to make the dietary treatments. Mane hair samples were collected at the end of each period from horses. Hair minerals, including, aluminium, calcium, cobalt, copper, iron, potassium, magnesium, manganese, sodium, nickel, phosphorus, lead, sulphur, selenium, and zinc were measured by inductively coupled plasma optical emission spectrometry method. 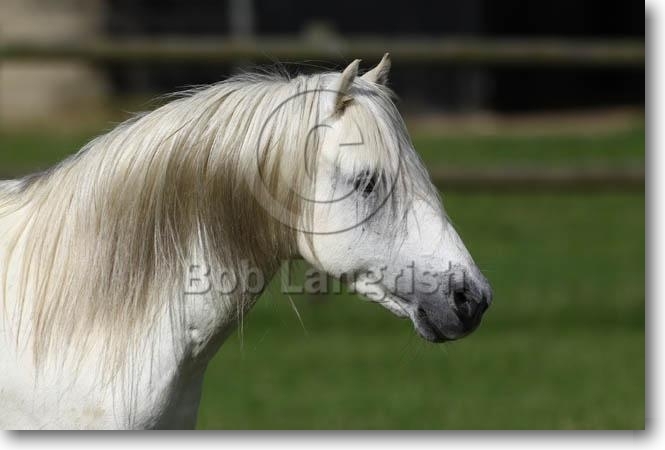 The results of this study indicated some important differences between the hair mineral content of the Caspian horse with the other breeds in the world. The results of this study also showed some advantages for hair mineral concentrations as a helpful diagnostic tool in identifying specific breeds such as the Caspian horse.